What should you take with you on your pilgrimage through the north of Spain? In August 2011 I embarked on an adventure which turned out to be life-changing for me. I went on a pilgrimage on the Camino de Santiago. 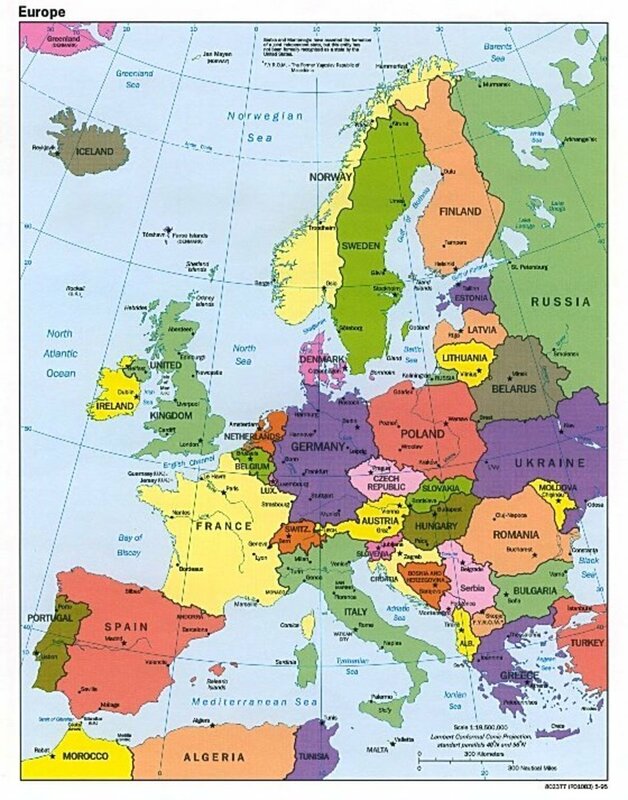 The road I chose stretches across the north of Spain from the East to the West, and ends at Santiago de Compostela, where St. James is said to be buried. For eight weeks I owned only what I could carry on my back, and thus carried all my belongings 780 kilometers (about 500 miles) from the French side of the Pyrenees to Santiago de Compostela in the west of Spain. 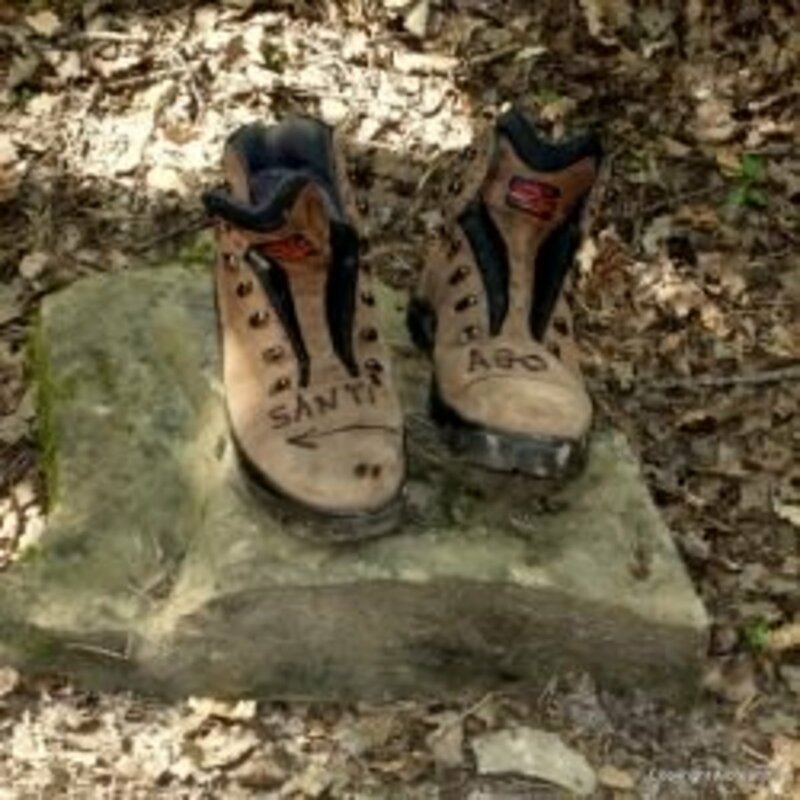 You can read more about this experience, and about what the Camino de Santiago is, in my article Reflections of a Pilgrim. There are many things to think about when packing for a long hiking trip, which after all is what a pilgrimage really is. In this lens I will present to you what I think are essential for this pilgrimage, and why I think so. All photos in this article belong to me, unless otherwise specified. Before you start planning your trip, I recommend checking out some of the many websites and forums dedicated to the Camino de Santiago (for your convenience I listed my favourite online resources here). Photo: Day 8. One of my pilgrim friends and I walking along the dusty road. My husband took this photo of us. Because you can't walk the Camino de Santiago wheeling a suitcase! Take care to find the best backpack for you. I cannot stress this enough. There is a reason why there are differently shaped packs for men and women. As a rather short woman with a short back, I found it very hard to find a backpack that fit me properly, but when I did I knew it as soon as I put it on. Because of this, I do not recommend buying a backpack online! Go to a proper sports or outdoor shop, and ask the staff for guidance. Don't be embarrassed to ask them to fill the pack up with weights so you can see how it feels with the weight you expect to carry on the walk. With the straps pulled properly it should be your hips carrying the weight, not you shoulders. In fact, the shoulder straps should not even touch the top of your shoulders but be about a hand's width above them. The pack should still be perfectly balanced and not feel like it is pulling you backwards or sideways. Equally important is it that it does not rub or pinch anywhere. Ideally it should feel like a natural extension of your own body, even with the added weight. When it comes to size it is easy to imagine that bigger is better. Not so! The bigger your pack is, the more you will be tempted to fill it up. My backpack is 65 + 10 L, which means that the main pack is 65 L, but extends at the top to include 10 more if needed. This should be more than enough. Most people actually seem to recommend something around 50 L. Again, find out what's best for you. A backpack which is too tall for you will be uncomfortable to carry. Here is a good video on how to choose the right backpack. A Pilgrim's Guide to the Camino de Santiago - THE guidebook! John Brierly's guidebook has existed a long time, and is renewed every year. With detailed maps and information about places to sleep, along with tips, famous quotes and inspirational anecdotes from his own journey, it is a book I have come to love. Now it has been retired to my bookshelf, with my own notes scribbled into it from the different places. 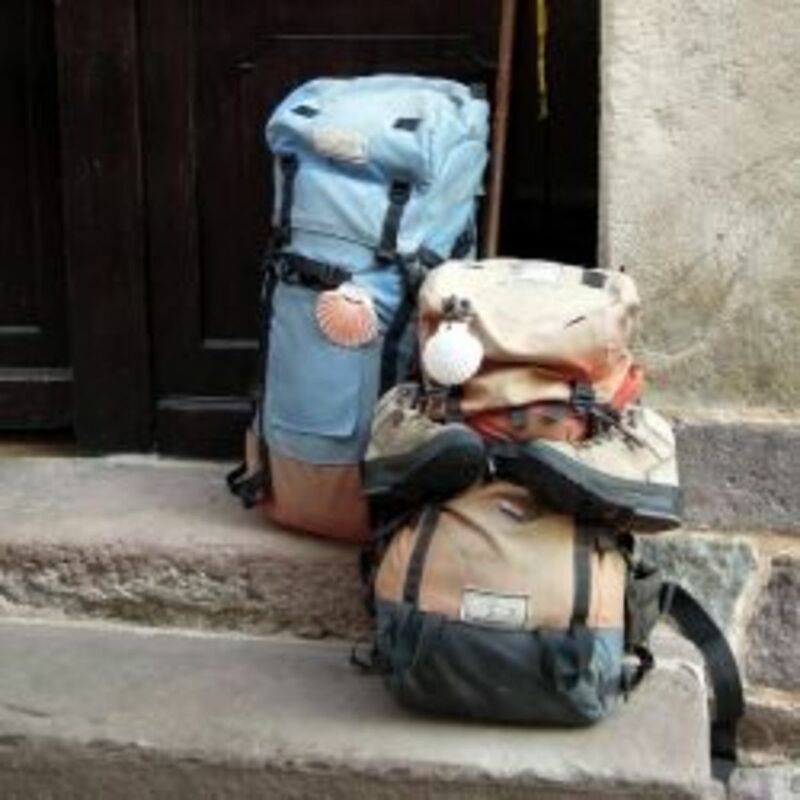 This guidebook is small and lightweight, and also includes an extensive history of the Camino de Santiago, as well as tips on how to prepare and what to pack. It comes highly recommended by myself and all the other English-speaking pilgrims I met on my way. Earlier I wrote about how important it is to find a backpack that fits properly. This also goes for shoes. Try them on in the shop, and again I do not recommend buying them online! Wear them as much as you can before going and get to know them properly. Ideally you should use them for at least a year before going, but this is not always possible. 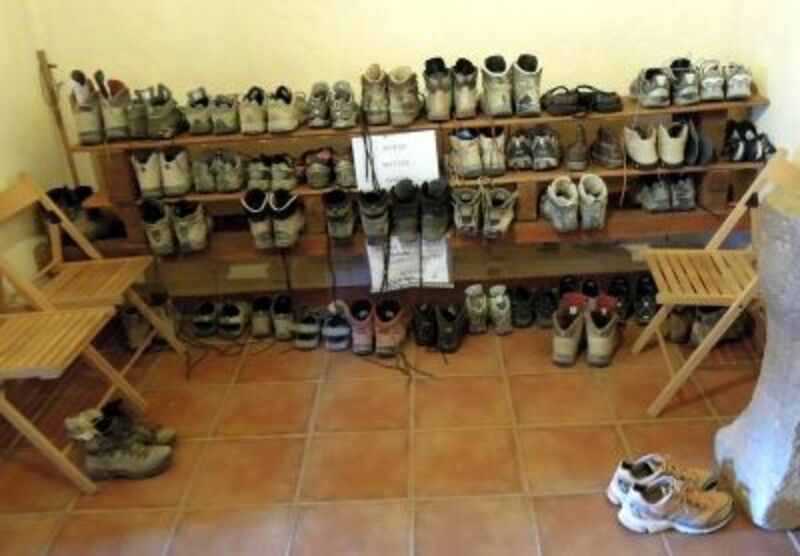 On my pilgrimage, there was hardly a day below 30 degrees Celsius, and here is a shoe discovery you can learn from: Make sure your shoes are breathable! In my other Camino article you can read more about how my unbreathable shoes affected my journey, but in short: too hot feet tend to blister. It doesn't make a difference if you have breathable socks if your shoes don't breathe! When I use words like "the best" and "good quality", I don't necessarily think "expensive". Shoes tend to have a higher quality the more they cost, but don't get the most expensive hiking boots you can find and think that's it. Because we are all unique, as are our feet, a cheaper pair could actually be a better choice for you than the really expensive ones. So try on many different pairs, including the cheaper ones, and find what shoes are best for your feet. And again, don't be afraid to ask the staff for help and advice. They (should) know what they are doing. If they don't - go to a different shop! Photo: A pair of abandoned boots by the forest path leading to Zubiri. 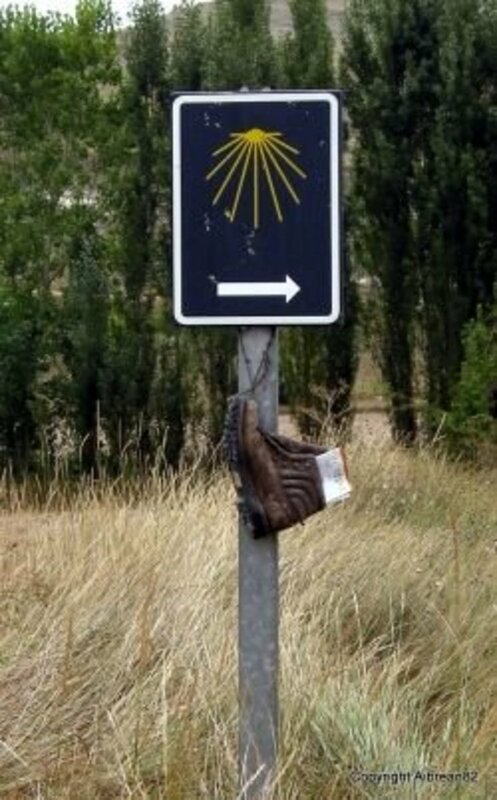 Abandoned shoe along the Camino. My husband and I came to a town called Castrojeritz, which seemed completely empty. On our way out we saw a tiny travel shop which was the only place that was open. I was dying to get my backpack off, so we left our packs outside and entered. The friendly old man working there did not speak a word of English, and the shop was filled with dusty old boxes. We did not really need anything, but I felt like I should buy something before leaving. I spotted a pair of shoelaces on the counter and decided to get them, as they didn't cost much, they were lightweight and little, and could probably be used for something. The next day one of my shoelaces broke, and I discovered that the other one was about to break as well. This was truly in the middle of nowhere, and I would have been in big trouble if I had not bought the extra shoelaces the day before! Photo: Not an unusual sight - pilgrims abandoning their hiking boots. Some had broken shoelaces, others soles that were falling off. Some abandoned boots made fun photos, like this one. The temperature in the north of Spain can vary within a season, a week, and even a day. My partner and I started out in August and walked all through September, and experienced some of the hottest weather recorded in autumn on the Camino. The mornings were often very cool, but by noon it was usually over 30 degrees Celsius and with a burning sun in a cloudless sky. We had been warned that the weather would change drastically in the higher altitudes in Galicia, with possible snow storms. For us the temperature only dropped about 5-10 degrees, and we had a couple of cloudy days. But most people we have talked to have experienced a completely different weather in August and September in previous years, so I would recommend bringing clothes both for hot and cold weather. The best thing is to make sure your clothes can be used in layers, for your own convenience and to save space and weight in your backpack. This means that ideally you should be able to use all the layers separately in hot weather and combined on cooler days. You don't have to go and spend lots of money on all new clothes, but I absolutely recommend clothes in a fabric that breathes and transports the sweat away from your body. These clothes also dry quickly, which is a big advantage when you need your clothes to dry overnight. So cotton does not come highly recommended... I did bring a cotton cardigan and a cotton t-shirt, but found they took a really long time to dry and I ended up using them mostly in the evening after a shower. And despite what you may have seen in the movie The Way, not many people wore jeans - and for good reason. PS. I do not recommend any white clothes. At all. Na-ah! Dust and sweat stains will leave marks you may never be able to remove again. 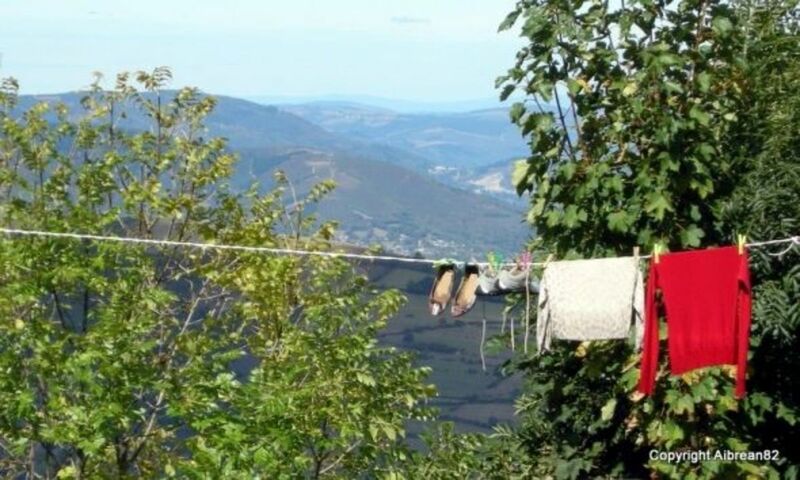 Photo: Clothes drying outside a pilgrim's hostel in O'Cebreiro, against a beautiful view of the Galician mountains. Make putting on sunblock a part of your morning routine, even when it is cloudy. On especially sunny days you should reapply sunblock every hour. I will assume you are going to spend your nights in pilgrim's hostels (albergues), and not in hotels or in a tent. If so, then a lightweight sleeping bag is important. Most hostels have blankets, but sometimes not enough for everyone. It is a drag to fold up in the morning, but at times you will be very thankful that you have it. You can get sleeping bags as lightweight as 500 - 700 g, and if you are travelling in summer and sleeping indoors you don't need an extreme weather sleeping bag anyway. What I also deeply recommend is to bring a silk liner. You can use it inside your sleeping bag for hygienic reasons as well as being an extra layer to keep you warm. When I did the walk it was so hot that I hardly ever used my sleeping bag. Instead I slept in my silk liner. It is ultra-light, and folds up to next to nothing. By making sure your liner is made of 100% silk you also know you are protected against bed bugs (the only time I was bitten was the night I was too tired to get my liner out before I fell asleep). This photo is from Amazon, which is where you can buy this awesome silk liner. First Aid Kit - A must-have! With any luck you will not be needing it, but a first aid kit should be obligatory on any hike. Even if you don't need it yourself you may meet other people who do. All the albergues (pilgrim's hostels) will carry first aid kits, and you can buy everything you need at the chemists (farmacias) along the way, but accidents can happen anywhere. 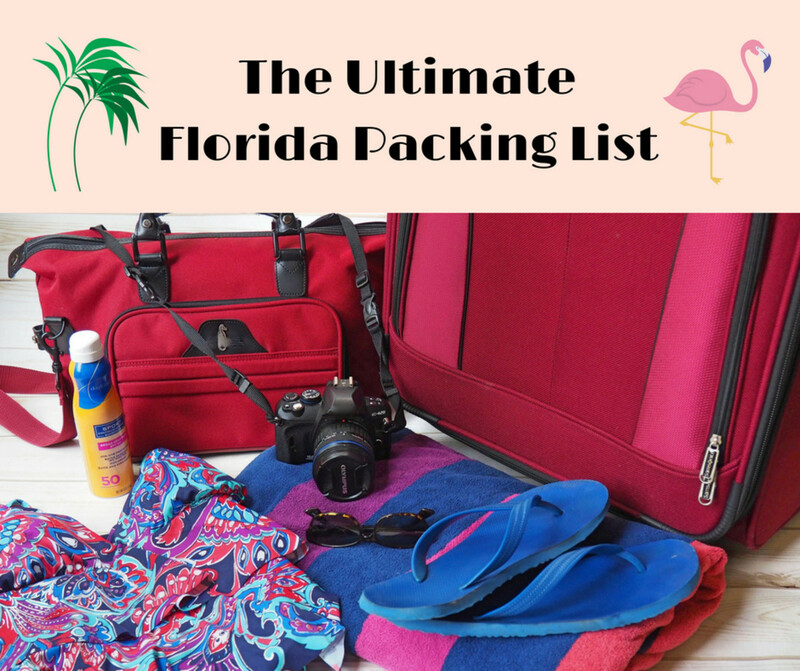 You don't need to fill it up with duplicates of everything, but I would recommend you have a little bit of everything to get you going until you can get more. I bought a mini first aid kit for my Camino, and added a few extra things for it. Most mini kits will include band-aids and antiseptic ointments. You will also need blister pads, lip treatment, your pain killers of choice, sport's tape, tweezers, scissors, and support bandages (elastic tube bandages are good until you find a chemist). A needle and thread is good for draining blisters, as well as sowing up tears in clothes and packs. Tiger balm and/ or Arnica gel is good for muscle pain, and I ended up using Vaseline everyday to stop my feet from blistering. I should have done that from the start, because it really made a difference! Remember to bring antihistamines if you have any allergies, and don't forget your own prescription medications, and a copy of the prescriptions! I was very happy with my Camelbak drinking bottles, except that I had to stop and pull them out of the side pockets of my backpack every time I wanted a drink, and I could never get them back into the pockets without help or taking the pack off. So most of the time I ended up walking with one of the bottles in my hand. I stared with undisguised jealousy at the clever people who had so-called water reservoirs in their backpacks and a tube across their shoulders. Whenever they got thirsty they put the end of the tube into their mouth and sucked. Genius! Later, of course, I realised that my own backpack has a pocket in the back and a hole at the top, exactly for the use of water reservoirs like this. Hrmf! Having water accessible at all times will make it easier to drink more, and prevent dehydration. Use whatever seems most convenient for you and that doesn't blow your budget. Full rain gear or just a poncho? I have read and heard lengthy discussions about what is best: a poncho or a full set with jacket and pants? Honestly, I have no answer for you. I ended up bringing a poncho as well as a rain jacket, and both were great for their own uses. Another good point is how a poncho allows your body to breathe and doesn't make you clammy the way a jacket often does. A poncho can also be used to create shade, and even a picnic blanket. But a poncho is of little help when it is windy, and absolutely no help against the cold. This is when a jacket comes in handy. A lightweight, waterproof, jacket keeps the wind out and does not start flapping and threaten to blow away, the way a poncho does. With the right layers underneath, even a thin jacket like that could help keep you warm as well. Take only what you really need. This isn't the time to spend hours on your beauty routine. Personally I used shampoo for more than just washing my hair. I used it also as shower gel and shaving cream for my legs, as well as to wash my clothes. It worked really well, and saved me from having to carry two more containers. Since I have curly hair I also needed conditioner, but this is individual. See if you can break your skin care routines down to a bare minimum. All the fresh air left my skin clearer and more radient than ever, even without all the products I would normally use. Toothbrush and toothpaste are a given. Oral hygiene is not something you let slip, even on a pilgrimage. Personally I brought no makeup, but that is of course up to you. I did miss it sometimes when we were going out for drinks in the cities. 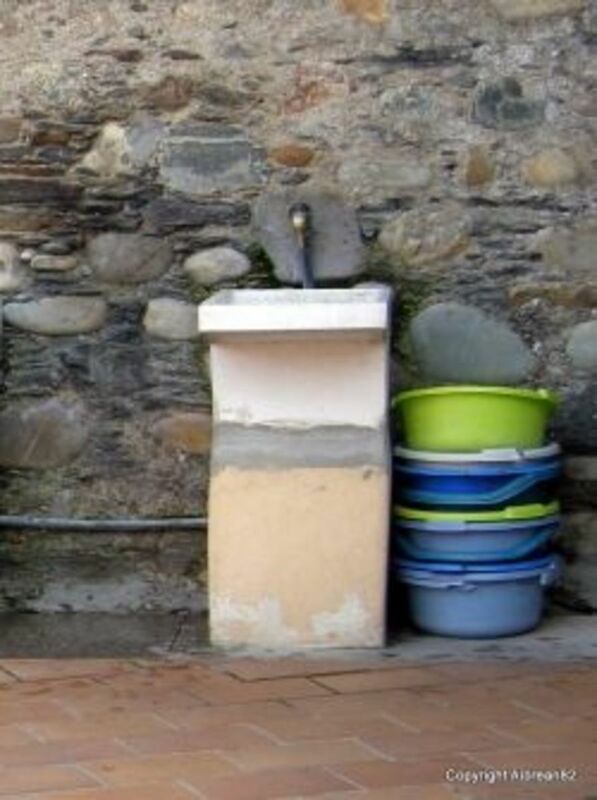 Photo: Most of the time you will have to wash your clothes by hand, in outdoor sinks like this one. I used shampoo, but most people seemed to use a liquid detergent. Whenever we found a place with a washing machine and dryer, we always queued up to use it! In the medieval times pilgrims used a wooden stick to protect themselves against wayside robbers and wild dogs, as well as a walking aid. They even hung their belongings on a hook attached to the top of their staff. In modern times people still use walking sticks, though they do not actually need them for protection anymore. They are recommended for pilgrims as they take some weight off your knees when walking downhill (which puts an enormous pressure on your knees), and give you more power walking uphill. 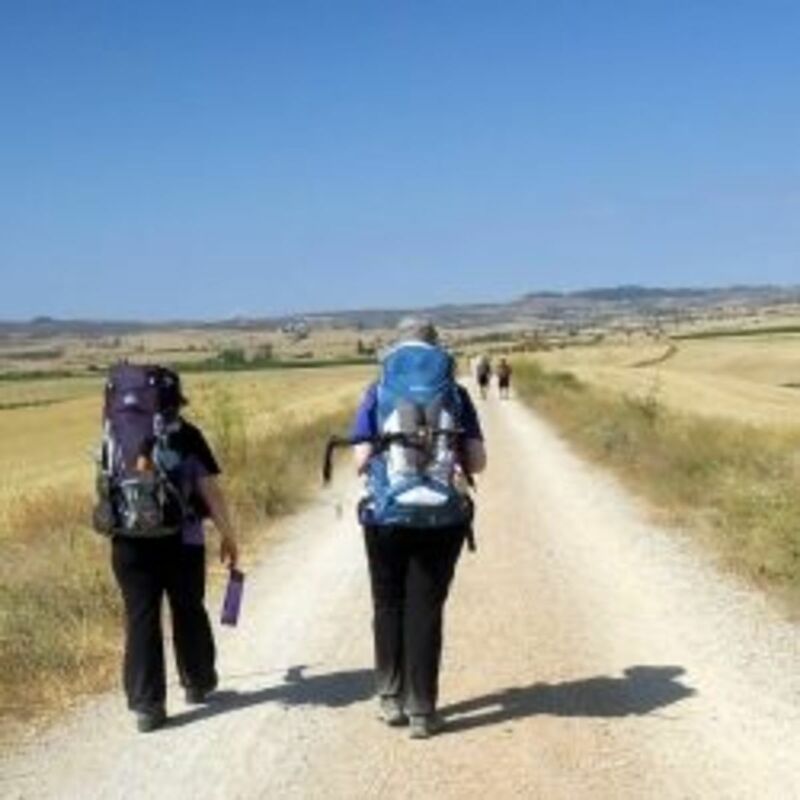 My sister, who has a great knowledge of anatomy and has also walked the Camino de Santiago, told me the following before I went: "Walking uphill is hard on your muscles - walking downhill is hard on your joints." Hearing this made me think more about the way I walked, especially since I have a weak knee. More injuries happen walking downhill than up. This obviously also includes trips and falls, which can be prevented by the support of a walking stick. The big question is whether to use a traditional wooden stick, or a pair of modern hiking poles. Having one in each hand takes as much as 40 % of the weight off your knees, which is definitely something to keep in mind if you have knee or joint problems, or if you are a little on the heavy side. Many pilgrims opt for the traditional walking stick, which is available many places along the way. It can feel a little awkward at first, until you get used to it. It may make you feel more like a part of the pilgrim tradition than a pair of poles will, and this could be one of the reasons why people still love them. It also allows you to have one free hand at all times, to hold a drinking bottle or a camera. I bought a lovely wooden walking stick in St. Jean Pied-de-Port, the town I started my pilgrimage from. It had the traditional mark of a scallop shell, and from the first time I touched it I knew it was the right one for me. It took me a couple of days to get used to it though, and that first day of walking I tied it to the back of my backpack, as I found it more in the way than actually helping. After a few days I learned how to use it properly, and when I did it suddenly started feeling like an extension of my body. It really did help me a lot, and I am of the very firm belief that a single wooden walking stick is so much better than no walking aid at all. However, next time - considering my knee and a few extra kilos - I may try two poles instead. 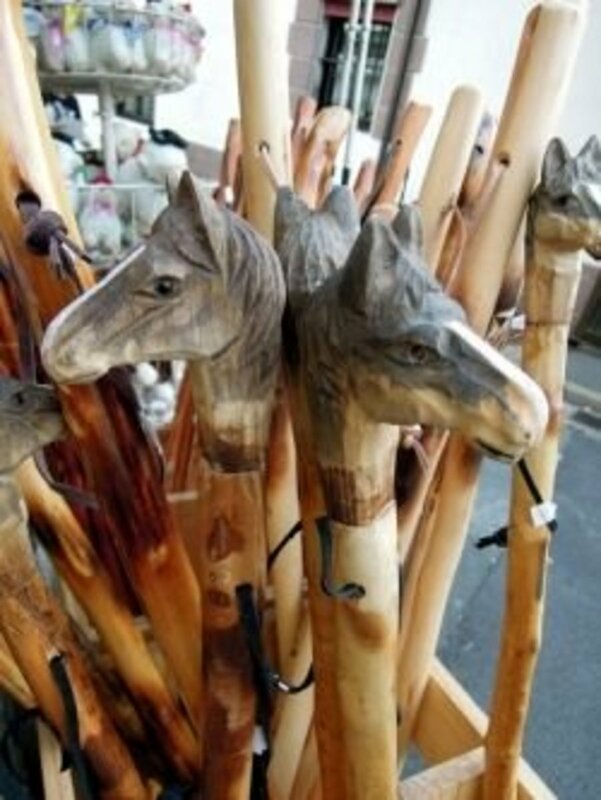 Photo: a variety of walking sticks are available along The Way, and they make lovely souvenirs as well as walking aids. Make sure you have all the necessary paperwork with you, including plane, train and bus tickets. Passport is a must, and a visa if you need it (check well in advance if you do, as sometimes the application process can be slow). You can order a pilgrim's passport (credential) online, or buy one at a pilgrim's office when you get to Spain (or France, if you choose to start there). Often, the hostels will keep a stash as well, but don't count on it. Wherever you stop to spend the night, you will receive a stamp in this passport. You need one in order to get the official compostela (a piece of paper that proves you have completed the pilgrimage) at the pilgrim's office in Santiago. They check your stamps to make sure you fill the requirements (having walked the final 100 kilometres if you're on foot, and 200 kilometres if you did it on a bike). Before I left I talked to my bank, who recommended I bring both a debit and credit card. I should use one of them, they said, and keep the other in a separate, hidden location. Also keep in mind that you will not have access to an ATM everywhere, so carry cash with you as well. And keep some hidden "emergency cash", that you should not touch until you desperately need to (I used up all my emergency cash on a shopping spree when I got to Santiago and didn't need it anymore, but this is optional). 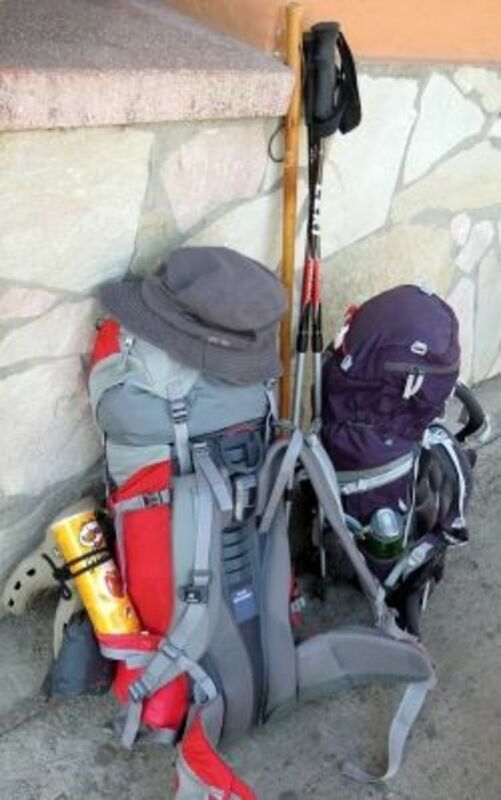 Since you'll be carrying a backpack and not much else, it is difficult to find separate locations for things. The best way is to carry a fanny pack. In mine, I kept my debit card, credential, some cash, a couple of my memory cards, my phone and passport, as well as a note with the Spanish emergency number, the phone number for cancelling my cards in case they were stolen, and the number for the Norwegian embassy. It sounds paranoid, I know - but if something happened I would be very glad to have it! "Whatever you can do, or dream you can; begin it. Boldness has genius power and magic in it." 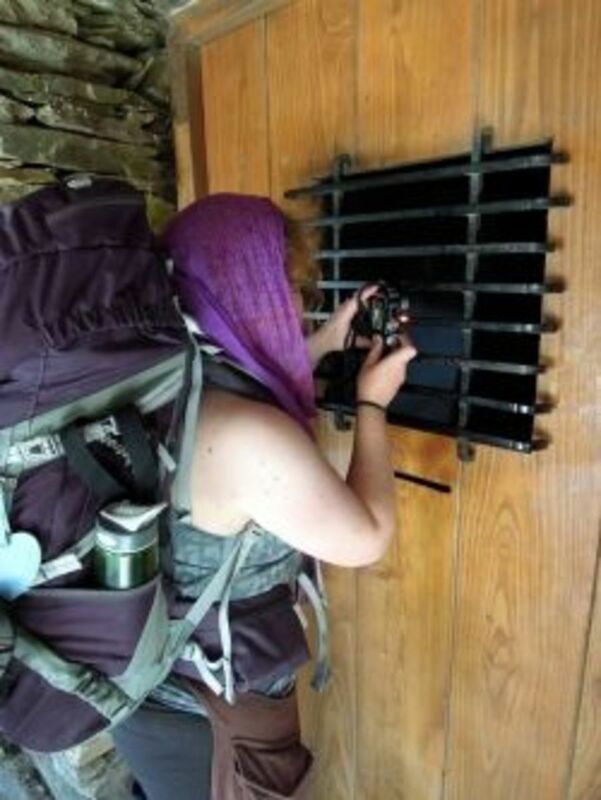 Most people going on the Camino de Santiago will want to record it for the future, either in photos or journal entries, or both. One person we met took a photo of all the people he talked to on the walk. From what I could understand (he was speaking Italian) it was an art project. I wish I could see the final result of it! Imagine a collage of all the people you met on your pilgrimage! Another person, from Holland, talked into a voice recorder every time he stopped for a break. Personally I wrote in my journal, though mostly in the beginning. I now wish I had written more towards the end of the walk as well, but I was too busy living in the moment - which I really can't complain about! I also took photos of the landscape, which was absolutely stunning! Find out how (and if) you want to record your walk, and bring what you need. Remember, if you bring a camera you will also need batteries/ charger, and memory cards. I recommend several smaller memory cards rather than one big card, and to keep them separate from each other - that way, if one gets broken, lost or stolen, you don't lose all your photos! This church was closed, but I managed to take a photo through the bars. It's called "determination". Did I miss anything vital? 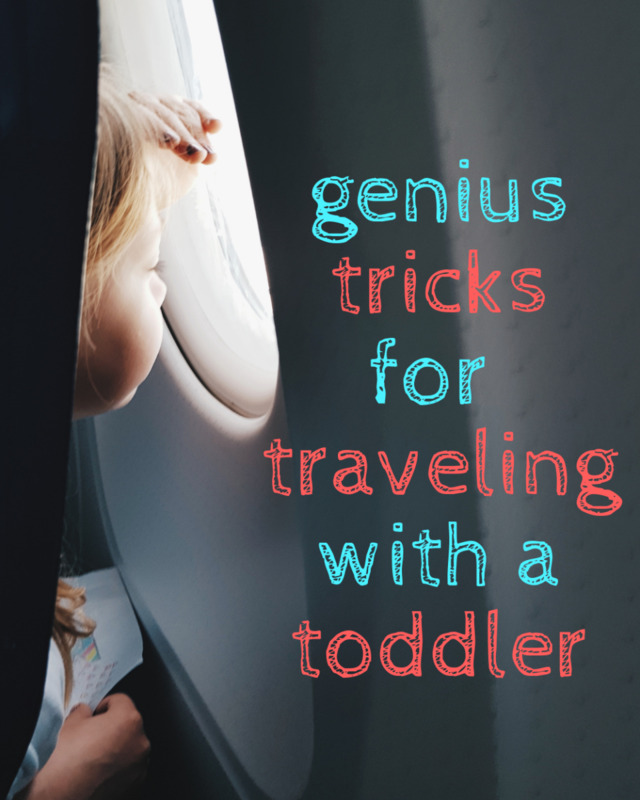 Do you have any other tips and tricks up your sleeve? - Or any other comment on my article? I'm always happy to hear from you! We visited Santiago de Compostela from Porto and were happy we did. As my husband can no longer walk that distance, we drove there. I envy you the experience. Fabulous, fantastic & phenomenal info on The Way and all around good tips on hiking. I have seen many soldiers, myself included, order boots online or from a catalog and only wear them once. Getting your feet measured doesn't mean that is the size boot you want as styles, brands and place of production effect fit so you can't just go by the number. At 18 I joined the Marines and wore a 10W boot for over ten years. My feet grew to a size 11, but I kept buying size ten wondering why my feet and knees hurt. Finally a salesman measured my feet and clued me in. Years later I served as an Infantryman in the Kuwaiti desert and wore the same two pair of desert combat boots alternating days for a year. They were well broke-in and I wore one of those pair on leave while hiking in the Ozarks a couple days. Up and down steep hills and switchbacks is way different than the fairly level miles of desert sand. My toes were often forced to curl-up in the front of my boots and every step was torture. Try them on and walk around the store while wearing hiking socks! Break them in on hilly terrain if possible too! My feet grew to size 12W AFTER I turned 50yr old. I'm hoping to follow the Camino next spring. Your blog is really, really helpful, thanks for taking the time to share it! @reasonablerobby: I really, really recommend it. It is a wonderful experience which truly changed my life in more ways that I could possibly explain. Congrats on the near completion of your Phd, and good luck whatever you decide to do! 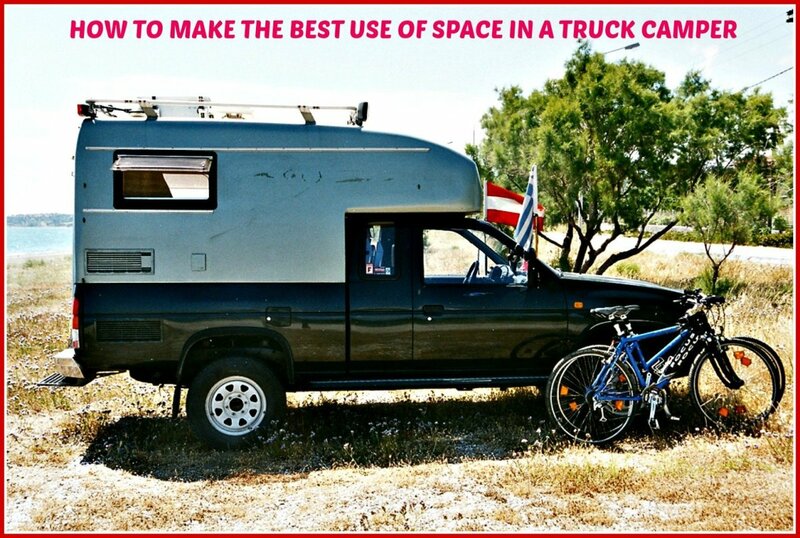 @CampingmanNW: That is excellent advice and I have added it to the text. Thank you for reading and for your input! Hiking is not so much about the journey but about the preparation. Poor plannIng always leads to poor performance. On another and perhaps more important note..... I also, DON'T RECOMMEND buying ANY CLOTHING online that will be worn on the hike. Try everything, and I mean everything on, including sport bras, in the shops to ensure a good fit before you buy. Buy what feels good. 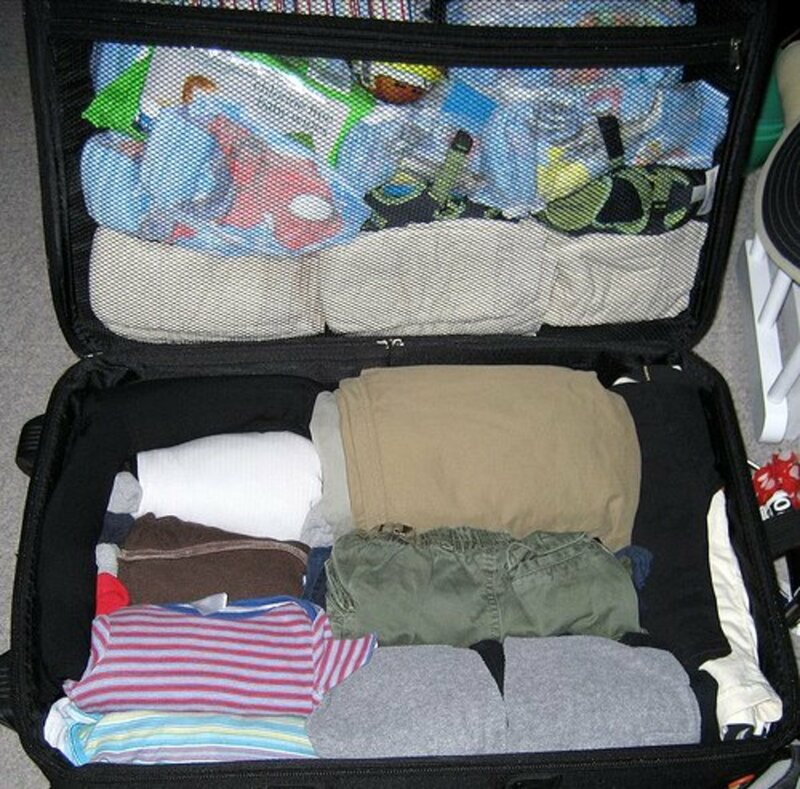 A comfortable fit is not only important, but can mean the difference between a terrible trip and a great trip. Nice information here, thanks for sharing, cheers. This is brilliant. A friend of mine did this on completion of her Phd. I'm close to completing mine as was thinking of doing the same trip to clear my head before returning to work. Really helpful tips thank you! It is so wonderful, reading about other peoples journeys! Thank you for sharing it with us. @malena10: I appreciate it. Thank you! I will share this lens to someone who has been there and will go again, maybe he have some more tips. @Vikk Simmons: You're never too old to do it ;-) But I understand that as you get older you get more responsibilities. I was lucky to be able to do this when I did. I wish I would have thought to do this when I was younger. How wonderful for you to have had this experience. I just watched a movie about this...it looks like a cool adventure. @usacartitleloans: Nor did I... Glad you found it helpful! 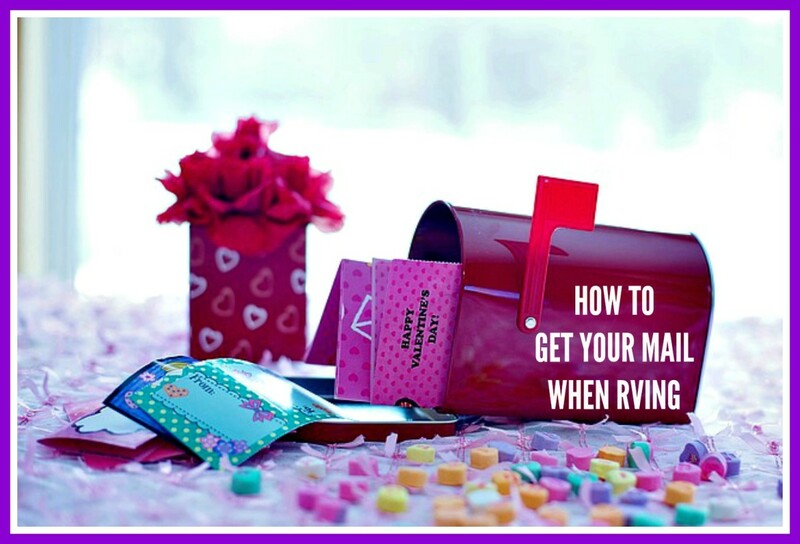 @siobhanryan: I do highly recommend doing it - it's an amazing experience! This is super helpful! Great short points that allow for further individual exploration. Especially good point about the shoe laces, I never would have thought of that! Very interested. I really enjoyed reading. @hmommers: I would definitely then recommend doing it in parts. A lot of people do that, as not everyone has the time to stay away from family or work for as long as the whole walk takes. I hope you find a way and wish you the best of luck! @artbyrodriguez: Thank you! I followed your advice and added something about that to the introduction. Extremely interesting trip and great tips. Even though I wouldn't make a trip like this, I loved reading about your experiences. RocketSquid tip....I have no idea what this pilgrimage is about or why people do it. That is probably in your first lens, which I have not read yet. Maybe some info on that in the introduction. Great lens and good work!